This album introduced me to Matias' music, and I couldn't have asked for a better introduction. Anything goes in this one; from the playful 'Rrr' to the latin onslaught around the middle of the album, spearheaded by dance floor fillers such as El Camaron, and the massive dark dance anthem "Lass Cruces". Just like that, on a workday night, Matias brought the party home. I need the wax for this in my life. 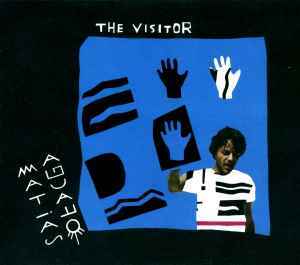 With the rock-tinged opening of Matias Aguayo's THE VISITOR is a paean to the famous Latin roll of the 18th letter, "Rrrrr," Aguayo is up to his old tricks again, crafting strange, personal songs with an electronic twist. The meandering "Dear Inspector" is off-kilter enough to hold your attention for most of its running time, while the dubby "By The Graveyard" is all about the drones and vocal echoes. He goes full Spanish with the rhythmically fascinating "Llegó El Don," and "Una Fiesta Diferente" and "El Sucu Tucu" bring in a hint of funk, especially with the latter's impressive vocal stutter. A tropical groove comes into "Aonde" and continues to a lesser extent onto "El Camarón." This album is a lot looser than AY AY AY, and I think it suffers as a result. But the heavier percussion on "Levantate Diegors" helps ground things, and the darker lines of 'Las Cruces" show off his more hidden songwriting talents, while "A Certain Spirit" closes the album on a odd, winding journey. Maybe not as strong as his previous album, but entertaining nonetheless.